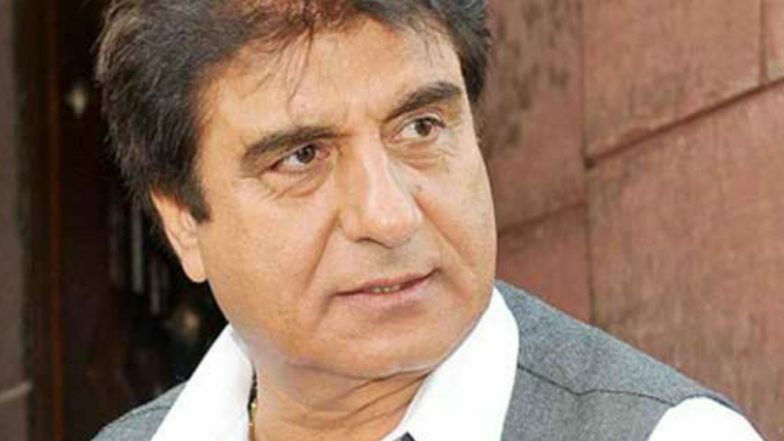 Lucknow, April 14: Congress UP chief Raj Babbar, speaking to reporters on Robert Vadra's entry in politics, said that if Robert Vadra wants, he can join politics and that no one could refuse. Babbar also added that if Robert Vadra, husband of Priyanka Gandhi Vadra, decides to contest elections, the Congress party would back him. Robert Vadra to Join Politics? Says 'I Feel I Should Dedicate a Larger Role in Serving People' in Facebook Post. Congress President Rahul Gandhi's brother-in-law Robert Vadra had earlier said that he would enter politics after getting his name cleared in the money laundering case. Robert Vadra on Joining Politics: 'People Need To Feel That I Can Make A Change, All In Time'. "Agar woh (Vadra) chahenge to party unke baare mein zaroor chahegi ki wo parivaar ka hisaa hain, party mein sammilit karne ke liye, kaun mana karega unko?- If Vadra wants to join the party, he is a part of the family, and who would oppose his entry into the party?" Raj Babbar told news agency ANI. Vadra recently said that he will campaign for the party all over India ahead of the 2019 Lok Sabha Elections, after the filing of nominations by Rahul Gandhi and Sonia Gandhi. Also, posters of Vadra were seen in Moradabad in February with the message saying "You are welcome to fight elections from Moradabad." The posters were put up by Congress workers.